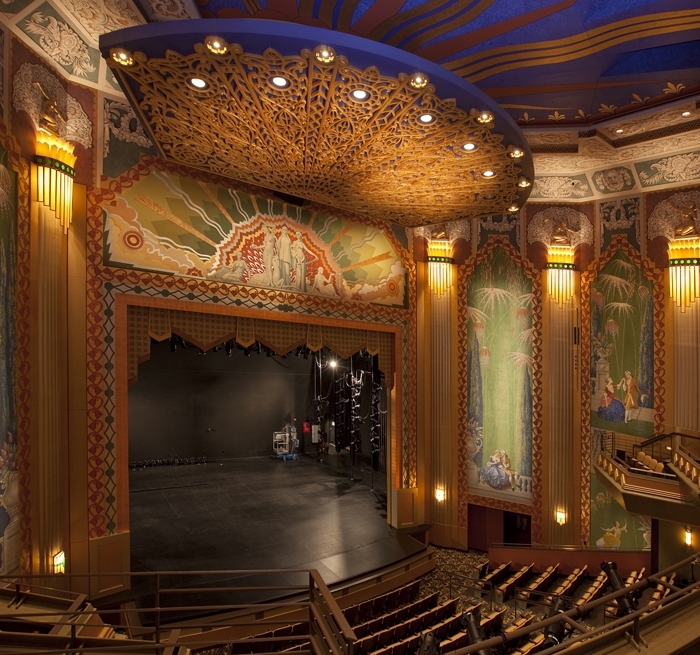 A unique blend of renovation, adaptive reuse and new build the Paramount Center complex, originally opened as a 1,500-seat movie house in 1932, incorporates the former Paramount Theatre and the footprint and historic façade of the adjacent Arcade building – formerly the site of the Bijou Theatre and B.F. Keith’s Theatre – into the new Production Center. Under a tight deadline, Auerbach Pollock Friedlander provided sound, video and production communications design on refurbishing and renovating the Art Deco movie palace; as well as the newly constructed 125-seat Jackie Liebergott Black Box Theatre, 180-seat Bright Family Screening room, a film sound stage, rehearsal and media studios, practice rooms, classrooms, faculty offices and a scene shop designed to support all of Emerson’s theatres. 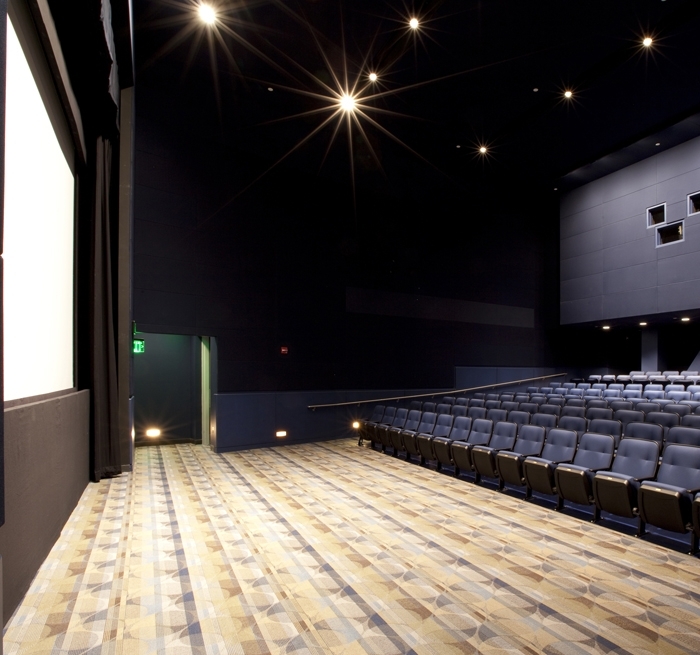 The Bright Family Screening Room has a full 35-mm, 16-mm film projection and digital cinema projection systems providing six projection formats. A full Dolby digital 5.1 surround sound system provides superb sound quality in the space. 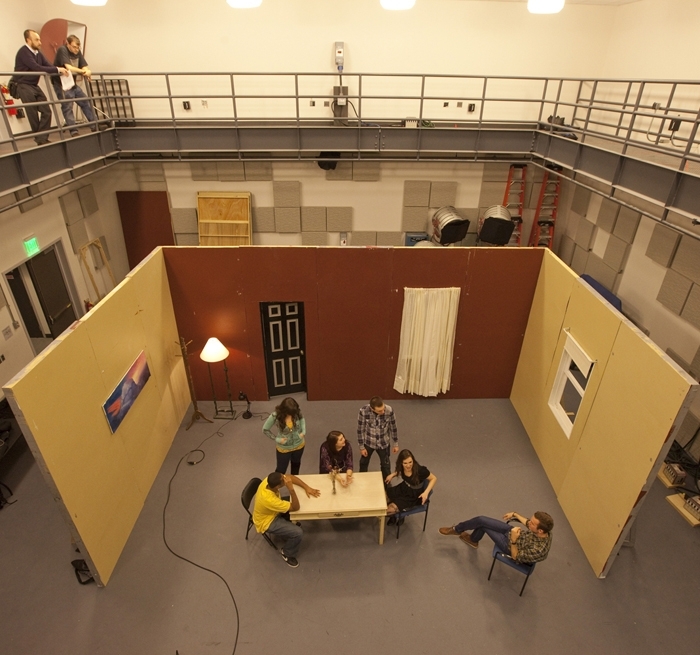 When not being used for cinema, the space is also designed to support lectures and related video presentations. 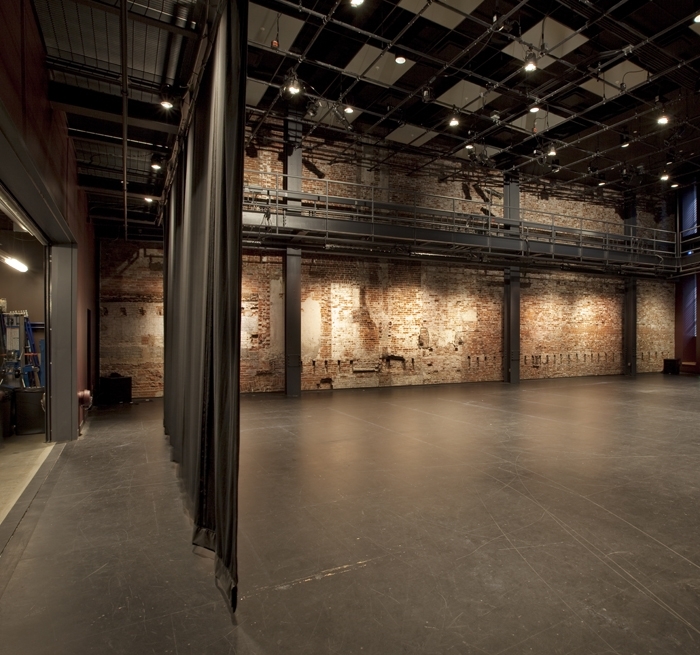 Auerbach Pollock Friedlander also provided theatre design consulting.